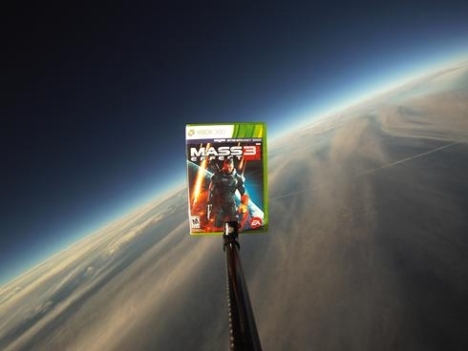 EA is sending early copies of the highly anticipated’ video game Mass Effect 3 into space. Weather balloons have been in the news a couple of times in the last month or two. You may remember the recent stunt where a Lego man was sent into space, and another where an iPad survived a 10,000 foot fall thanks to its protective G-force case. Well, in this instance, weather balloons carrying copies of Mass Effect 3 – not available until March 6th – are set to launch from New York, San Francisco, Las Vegas, Berlin, London and Paris. I really like this, giving fans an incentive to get involved – and gaining loads of targeted coverage along the way.